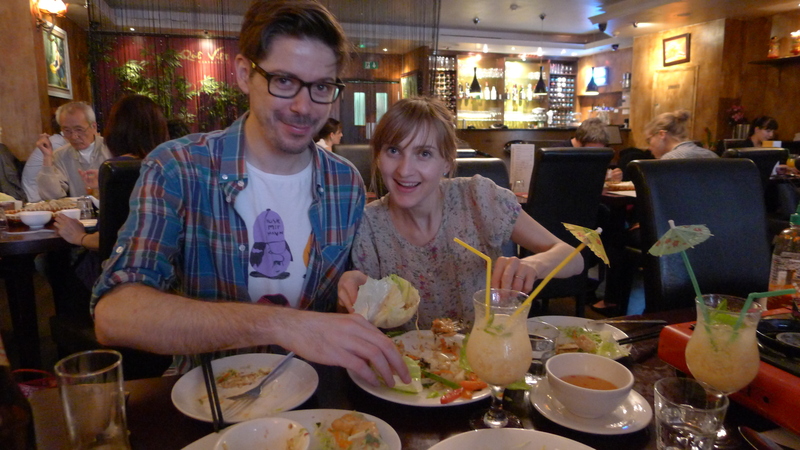 A last meal with son Nick and Kathy in London before heading off to Berlin in the morning. 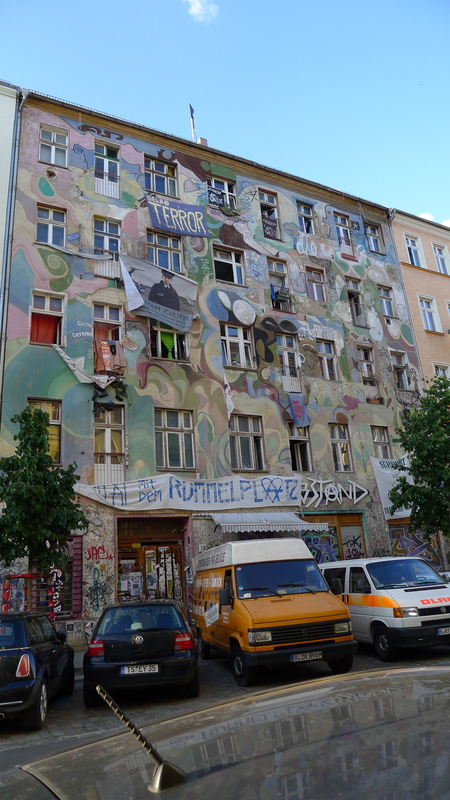 We are stopping in East Berlin – wow, they have attitude! 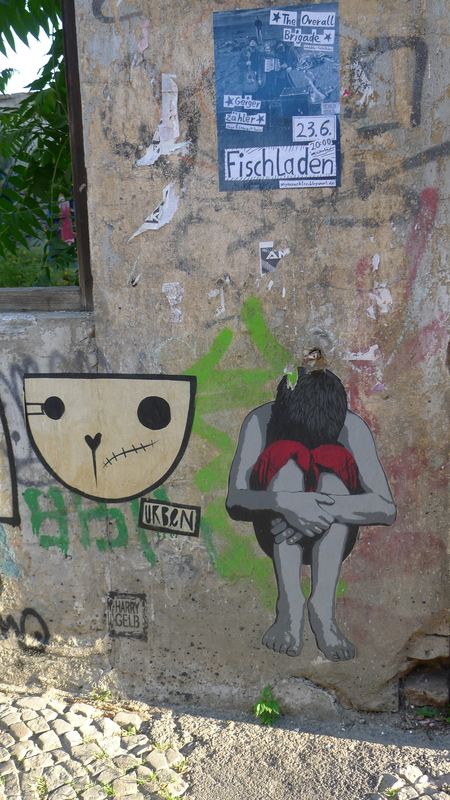 Street art abounds – this is right across the road from our flat. It is a beautiful summer evening – families are out walking and riding their bicycles along the footpaths past little outdoor eating places dotted right along the side streets. We stop at a Vietnamese place and have a light meal. It’s after nine and the light is only partially dimming – it’s always later than you think! We like Berlin – at least this gutsy side of the city. This entry was posted in Uncategorized on June 21, 2013 by Geoff Boyce.